Trafalgar (www.trafalgar.com) has extended its current offer to save $600 per couple on air-inclusive winter and spring trips booked with Delta and Sky Team partners. Originally ending November 30, 2012 the offer has been extended for all new bookings made until December 27, 2012 through March 30, 2013. Trafalgar has 25 fully-guided winter and spring European itineraries to Italy, Britain, Ireland, France, Spain and more, each offering the must-see sights with smaller crowds and savings of up to 38% off the cost of summer travel. “Combining your savings with the already low pricing, this makes winter and spring travel especially great to maximize cost benefits and enjoy Europe during a quieter traveling season,” said Trafalgar USA President Paul Wiseman. The 11-day Great Italian Cities, from $2375 USD per person, is the ideal trip for travelers looking for a relaxed-pace journey to three of Italy’s favorite cities. Guests enjoy stays of 2-3 nights on average in each destination, starts no earlier than 9 a.m. on most travel days, small group sightseeing in select locations and more. Spending 3 nights each in Rome, Florence and Venice, this At Leisure itinerary gives guests the opportunity to immerse themselves in their destination without the rush of several more travel days. Guests are also treated to a Be My Guest dinner at Villa Calcinaia in Greve in Chianti. In beautiful Venice, guests cruise the canals with a local guide before a Small-Group Sightseeing trip through the city’s narrow streets. The 8-day Irish Highlights trip, from $1199 USD per person, is a wonderful trip to explore the scenic countryside of Ireland while also visiting numerous cities, cliffs, castles and more. Spending two nights in Dublin and Killarney, with a one-night stay in Limerick and Waterford, guests will get a taste for traditional Ireland. Guests will also be treated to an authentic dining experience with a Be My Guest Dinner in Killarney at an Irish farmhouse. 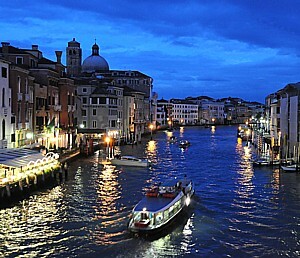 For more information, contact your local Travel Agent, call 866-544-4434 or visit www.trafalgar.com. Follow Trafalgar on Twitter at @TrafalgarTalk or @TrafalgarUSA and check us out on Facebook. It’s not too late to book your summer vacation to Britain, Ireland and Scotland. Explore England’s pomp and pageantry, Ireland’s impressive scenery and Scotland’s proud culture on a Trafalgar guided vacation, and discover more than you would have ever imagined possible. 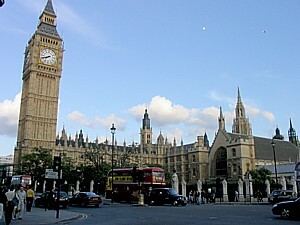 Book by June 20, 2011, and save $500 per couple ($250 per person) on 2011 UK air-inclusive itineraries 10 days or more. Royal Britain – 10 Days. New At Leisure Vacation! At Leisure Vacations combine the very best of expertly planned, guided vacations with the freedom and flexibility of independent travel. With a more leisurely pace, there is time to linger in each destination. Embrace England’s pomp and pageantry in London’s Buckingham Palace and Big Ben. Visit majestic Windsor Castle and grand Hampton Court to see its spectacular Tudor kitchens, before experiencing the charms of Portsmouth, Isle of Wight, Royal Tunbridge Wells and Brighton, with its Royal Pavilion. Priced from $2199 land only, based on double occupancy. Best of Ireland – 11 days. Discover Ireland’s fascinating medieval heritage through Norman Castles, ancient cathedrals and quaint villages like Bunratty. Admire how handsome cities like Dublin, Kilkenny, Limerick and Galway blend seamlessly with Ireland’s striking landscapes in areas such as Ring of Kerry and Cliffs of Moher. Priced from $2050 land only, based on double occupancy. Scottish Highlands, Islands, and Cities – 14 days. From Jedburgh and St. Andrews to the Orkney Islands and Kyle of Lochalsh, explore Scotland’s picturesque castles, grand cities, quaint villages and dramatic landscapes. Sample Scottish whiskey, watch traditional “piping in the haggis” and see cosmopolitan Edinburgh on this incredible Scottish tour. Priced from $2899 land only, based on double occupancy. Trafalgar was established in 1947 and provides exceptional worldwide guided vacations to Europe, Britain, USA, Canada, Australia, New Zealand, South America and China. Trafalgar’s vacations include First Class hotel accommodations, luxury transportation by motor coach, rail or cruise ship, outstanding cuisine, daily included sightseeing and optional excursions, both with expert Local Guides, and the personal concierge services of Trafalgar’s Tour Directors, who share their insider’s view and reveal hidden places not mentioned in guidebooks. For more information and reservations, see your travel agent or call (866) 544-4434 or visit http://www.trafalgartours.com. Brochures can be ordered online at http://www.trafalgartours.com.